We assume no liability for the correctness and accuracy of the information contained herein. Any liability for damages incurred directly or indirectly from the use of this website is excluded, unless they are based on intent or gross negligence. 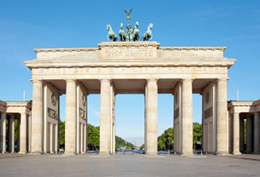 "Wurst am Brandenburger Tor :-)" bears no responsibility for the content of the external sites or for that of subsequent links operated by third parties. All rights reserved. Text and images and their arrangement on sites of wurst-am-brandenburger-tor.de are protected by copyright. The content of this website may not be copied or modified.